When any anime TV series hits a certain level of popularity, comes the inevitable big screen spin-off. 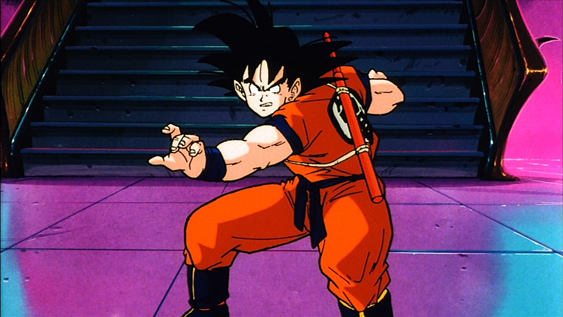 In the case of long-running juggernauts based on Shonen Jump properties, for a long time this meant fans could expect a movie outing once a year for the show's run. And Shonen Jump juggernauts didn't get much bigger than Dragon Ball Z. The original Dragon Ball span off a movie a year from 1986-1988. The franchise's popularity really exploded with the sequel series, however, which lead to the release of two movies a year between 1990 and 1995. One movie was also released the first and last year of the show's original run, 1989 and 1996. These original movies are now being released in the UK for the first time on Blu-Ray and DVD, in remastered editions, with two movies in each set. Originally screened as part of a program alongside other Toei animated movies, the films have running times below feature length. The first of the two movies in this first Dragon Ball Z Movie Collection runs just shy of 40 minutes, the second is just under an hour. This means that together they make up around the length of a typical movie. There's added value here too with an English commenatry featuring the voice director and one of the stars of the dub. But what about the films themslves? Most Dragon Ball movies follow a typical formula, with each bringing Goku and friends up against another new villain. These two are no exception. In the first Dead Zone (1989), we meet a dimuntive baddie named Garlic Jr. Gathering the Dragon Balls he uses his wish to become immortal, in order to try and take over the world. In order to gain posession of all of the balls in the first place, Garlic Jr's henchmen make the mistake of kidnapping Goku's son Gohan. It's not long before Daddy shows up to reclaim his son.. and save the world in the process. 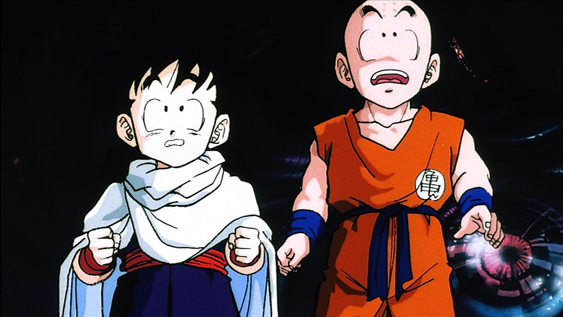 The second feature The World's Strongest (1990), Gohan and Oolong accidentlily stumble on a mysterious stranger who has summoned Shen-Long. He turns out to be mad scientist Dr Kochin who uses it to rescue his partner, the evil genius Dr Wheelo. Now only a brain in a jar, Wheelo sends out his henchmen to search for the world's strongest warrior. His plan is to transfer his brain into their body, and use it to (you guessed it) take over the world. 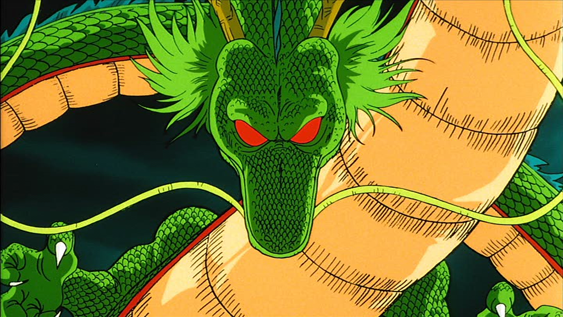 Taking place early in the series continuity, these movies will take you back to old school Dragon Ball Z. They feel very much like they could be part of the series, resembling (slightly) extended episodes. There's some enjoyable character moments (one segment where Gohan gets -sort of- drunk is a definite highlight) and set-ups, but for the most part they focus on the action. Both movies feature all the fighting, shouting and speedlines that any DBZ fan could wish for. The animation is perhaps a minor notch up from television quality (for the time) but can't help but show its age. It obvisously isn't going to look nearly as good as the recent movies or Dragon Ball Super, but it's got a charm of its own. There are a couple of extra floursishes though- mainly seen in some experimenting with animation styles for flashbacks and fantasy sequences. The necessity of not impacting the TV series storyline does mean that the stories do lose something in terms of stakes. 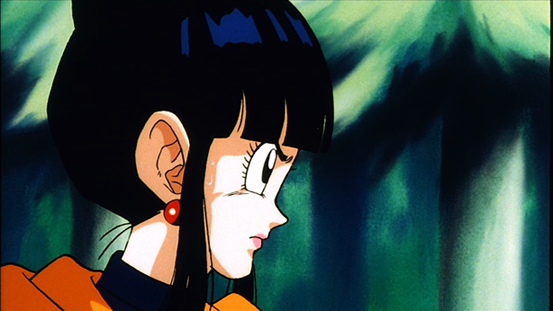 But then again, death is rarely much of a problem- or permenant- in Dragon Ball anyway. The villains are also not nearly as memorable as some of those from the series. Garlic is essentially a clone of Emperor Pilaf (until he gets an upgrade), and Wheelo and Kochin are generic mad scientists. In more recent times, Toei have really pulled out the stops for their Dragon Ball movies, and it has lead to a noticable spike in quality. These older movies are essentially disposable, cheap and cheerful stuff. Which isn't to say that they aren't entertaining- because they very much are- just that they are basically longer TV episodes- and nothing much else. These movie collections are a great way for DBZ completists to fill a hole in their collection. They are also a good buy for the more casual fan who wants to revisit the franchise without sinking in hour after hour in the giant season sets. These are not the best Dragon Ball movies out there- but if you want a quick hit of Dragon Ball fun, you can't go far wrong. IN A NUTSHELL: Not quite classic DBZ but there's plenty of fun to be had here.